The time has finally come for another IFMSA General Assembly has finally arrived. You will get a chance to represent Jordan in the biggest student organization meeting in the world and see how student-led organizations operate on the national, regional and international levels. We will be selecting 16 delegates to attend the 68th IFMSA General Assembly March Meeting. The next March Meeting will be held in Portorož, Slovenia between 1st and 7th of March 2019 and those who are interested should fill out the following forms. Stay tuned for more updates of IFMSA-Jo Team’s experience this GA ! IFMSA-Jo is a member of the Eastern Mediterranean Region, this region host an annual meeting in one of its countries and the time has come to register for the 15th iteration of this meeting happening this year in Oman. MedSCO – Oman is hosting this years meeting and has promised an unforgettable meeting with a wide array of activities, sessions and social programs between the 6th and the 10th of February 2019. Stay tuned for more updates of IFMSA-Jo Team’s experience this EMR ! 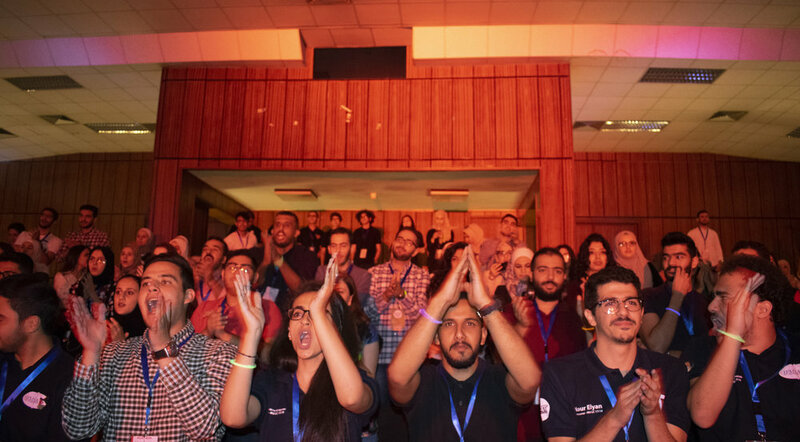 The International Federation of Medical Students' Associations-Jordan (IFMSA-Jo) has two annual meetings every year in March and September. These meetings are for the National General Assembly (NGA) which is the decision-making body of IFMSA-Jo. The latest of these NGAs was the 14th National general Assembly, held at the University of Jordan on 21st and 22nd of September 2018. 380 students attended the event from all different universities. Main theme was about the advancement of technology in the field of medicine. The EMR Meeting is an IFMSA annual meeting that provides a space for IFMSA members to exchange knowledge, build capacity and tackle shared regional issues. It was held at Moroco.